1998-12-07 EP-IAA Iran Air New, grey belly Kurdistan Seen GOT First sighting of new Colours. 2004-09-01 EP-IAA Iran Air Kurdistan Stored THR Aircraft WFU, and used for parts. 2005-05-02 EP-IAA Iran Air New, grey belly Kurdistan Stored THR Aircraft parked in Iran Air maintenance area. Engines covered. 2005-05-05 EP-IAA Iran Air Kurdistan Stored THR Aircraft parked in Iran Air maintenance area. Engines covered. 2005-07-24 EP-IAA Iran Air Kurdistan Seen THR On display at Tehran - Aerospace Exhibition. 2007-02-15 EP-IAA Iran Air Other THR Reported to be in the process of returning to service. 2008-01-26 EP-IAA Iran Air Seen THR Moved from nearby storage area. Seen being prepared for D-check. 2008-05-27 EP-IAA Iran Air New, grey belly, Homa engines. Persian Gulf Seen THR Back in service. 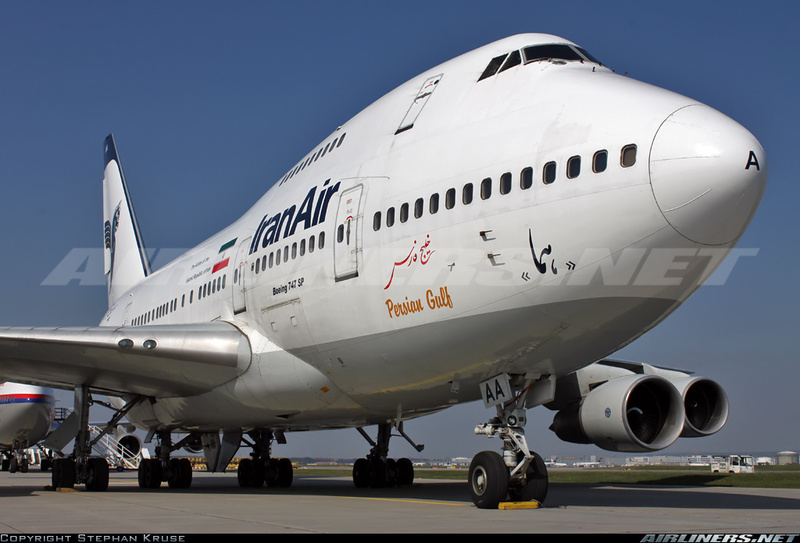 2008-07-15 EP-IAA Iran Air New name and engines Persian Gulf Seen HAM First appearance in HAM after D-Check. 2008-09-21 EP-IAA Iran Air Seen EP-IAA noted westbound over the UK at FL380 routing along Airway UL9. 2009-01-06 EP-IAA Iran Air New, grey belly, Homa engines. Persian Gulf Seen LHR Homa bird in now in dark blue. 2010-07-06 EP-IAA Iran Air Other Banned from EU. 2011-04-11 EP-IAA Iran Air New, grey belly, Homa engines. Persian Gulf Seen KUL Parked at gate, headed to Tehran. 2014-01-03 EP-IAA Iran Air Persian Gulf Seen IKA Operated IKA and KUL as IR840.